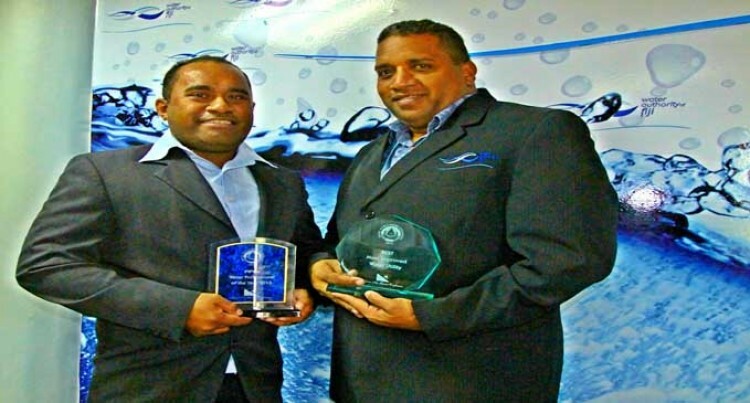 The Water Authority of Fiji has been awarded ‘The Most Improved Water Utility in the Pacific’ in recognition of WAF’s growth and development over the past two years. In addition, WAF senior business analyst Manasa Tusulu received the ‘2015 Water Professional of the Year’ award for his contribution in providing data ‘on a continual basis’ that has helped the benchmarking exercise of the PWWA. The awards were presented at the Pacific Water and Waste Water Association (PWWA) 8th Annual Conference held in Papua New Guinea from September 14 – 17. PWWA chairman Opetaia Ravai, who is also the CEO of WAF, said the judges compared our performance in 2013 with 2014 which reflected continued growth. “The awards also remind us that what we have achieved is only a part of a process that is far from complete,” Mr Ravai said. As the major water utility in the region, PWWA is comprised of 26 government water and wastewater facilities in 20 countries and states in the Pacific.